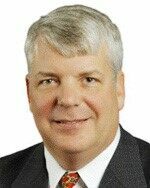 JLL today announced it has strengthened its retail client services in North Texas with the addition of industry veteran Tom Salanty. Salanty joins the firm as a Managing Director and brings more than 30 years of experience in retail investment sales. In his role, Salanty will bolster the firm’s retail practice throughout North Texas, partnering closely with Managing Directors Adam Howells, Randy Fleisher and Tim Jordan to provide JLL’s investor clients with a full suite of capital markets services. He will also align closely with Clay Smith who leads the firm’s Retail Brokerage practice in Dallas. Salanty has experience disposing of all retail asset classes including grocery-anchored assets, regional malls and shopping centers, mixed use projects and lifestyle and power centers. He has completed more than $3 billion of transactions over the last 20 years. The hiring of Salanty is the most recent move by JLL to expand its retail platform across the nation. In the last year, JLL has grown its retail brokerage business across major markets, acquiring HMS, Inc., Wilson Retail, Shelter Bay Retail Group, Martin Potts & Associates, Inc., and Big Red Rooster. Salanty most recently served as an Executive Director with a global commercial real estate firm and prior to that was the Acquisitions Director for Intershop Holdings, a $1 billion Swiss real estate investment company. He also was the lead disposition officer at Bright Realty Company, responsible for the disposition of a $1 billion portfolio of foreclosure properties. Salanty graduated from Indiana University and is a member of the International Council of Shopping Centers (ICSC), the North Texas Commercial Association of Realtors (NTCAR), and serves on the New Horizons Foundation Board, a residential treatment center for abused children. Categories: Agency Leasing, Americas Retail, Investment and tagged investment sales, JLL, retail, Tom Salanty.